ARLINGTON, Va. — The National Association of Chain Drug Stores Foundation is launching a radio and digital education initiative in Puerto Rico to address rising concerns over the Zika virus. Plans call for the NACDS Foundation to begin airing radio messages on May 9 to urge women to seek advice from doctors and pharmacists about how to protect themselves and their unborn children from the effects of Zika. Follow-up online placements also will encourage women to find out more about Zika prevention. 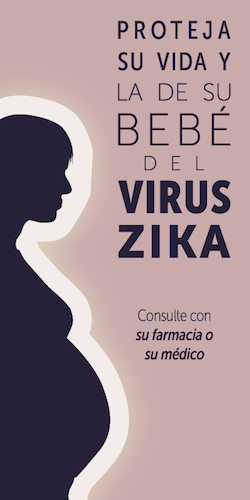 The radio messages, delivered in Spanish and English, warn women who are pregnant or might become pregnant of the serious health risks posed by the virus and recommends they discuss preventive measures with their doctors and pharmacists. In an April 15 briefing, Centers for Disease Control and Prevention (CDC) director Tom Frieden called the Zika virus outbreak unprecedented. He noted that infection from the virus can cause microcephaly and other severe brain defects as well as pregnancy loss or complications. “We hope you agree the Zika outbreak represents an urgent public health threat and resources are essential to address it,” CDC Foundation president and chief executive officer Judith Monroe wrote to philanthropic and business leaders who attended the briefing.